Two of my favourite items are being retired from the Close to my Heart product line and I am really sad to see them go! So, this month, our Use Your Stash Blog Hop is honouring these oh, so pretty and useful items and wishing them a happy retirement. If you got here from Theresa Morrow`s blog, you are on the right track, but if you get lost along the way, just return to Wendy Kessler's blog where you will find the list of hoppers. For my project this month, since it is Christmas and I needed a ton of gift cards, I decided to make these as my part of the hop. I don`t think my gift cards have ever sparkled as much as they do this year! This is the only Christmas card I have done with our retiring items, but I love it! And the first time I have ever tried a side-step card and it turned out great! I used Red and Stardust Glitz Glitter Gel on the holly berries and to add a bit of "snow" to the branches. The stamp set is Yuletide Greetings (D1553). I cut the branch swag three times then cut the bow off of two of them so I could add the branches behind the main swag to add depth. The glitter gems are from last years Pear and Partridge card making kit and the paper is from this year's Sparkle and Shine kit. I coloured the bow and holly leaves with my watercolour pencils and blending pen using Cranberry and Garden Green. I popped out the right holly leaf and the main swag on the bottom of the card with a bit of foam tape to add some depth too. 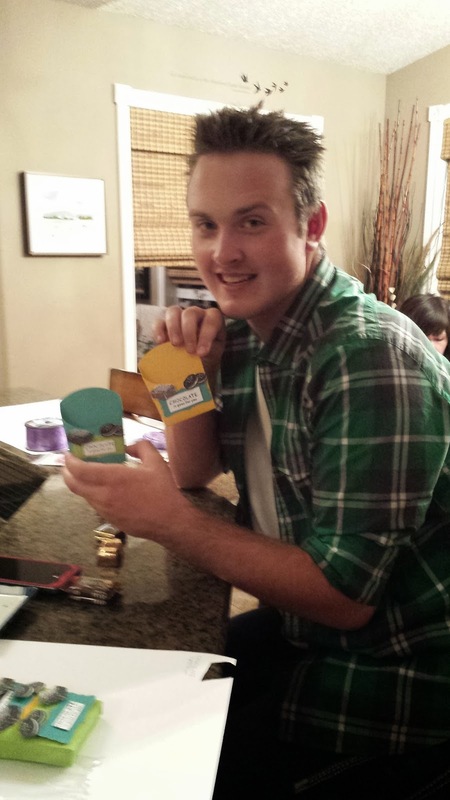 And here are my gift cards. They are all 3"X3" with some having a side fold and some a top fold. 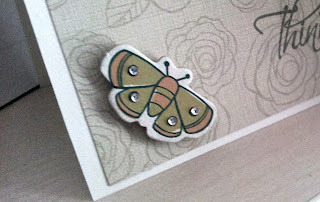 I used the little M-sized stamps for these as they are just the right size! Notice the bows on the two packages. The pink bow is actually Stardust Glitz Glitter Gel that sucked the red from the stamped image. The yellow one is Liquid Glass and Prisma Glitter. The LG pulled the yellow component of the Cranberry ink I used and made the bow a pretty gold! Next on the hop is Joy McHargue, so keep hopping to see what she has in store for your viewing pleasure! If you are interested in any of the retiring items used in this blog hop, please talk with your local Close to my Heart consultant. Merry Christmas, everyone, and a very happy and safe new year!! I love Christmas! The lights, the music, the food, the gifts and the feeling of love and joy. My Christmas shopping is almost done and I am thinking this year of hand made gifts for a few people. All of my cards are made by hand and will be sent in the next few days. So this months blog hop is all about hand made gifts. items we have made to give, or could give. 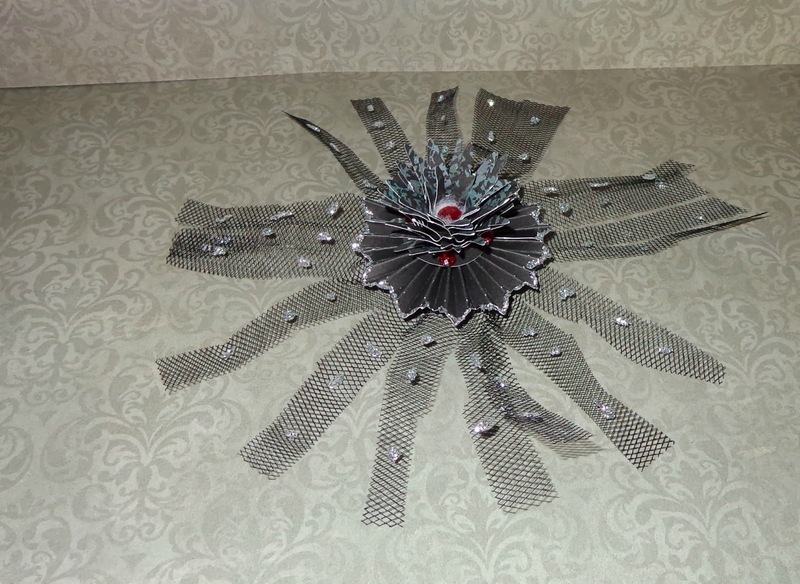 The My Creations Star would make a beautiful home decor item for any season, depending on how it is decorated. Or how about those super Decor Frames! They can be easily be updated depending on the season. Hang photos on one and change them as the kids grow, or as the seasons change. So many possibilities. If you came here from Brandy's blog, you are on the right track. But remember if you get lost, you can always return to Michelle in Nova Scotia where you will find the entire list of hoppers! Here is my project this month (speaking of decor frames). 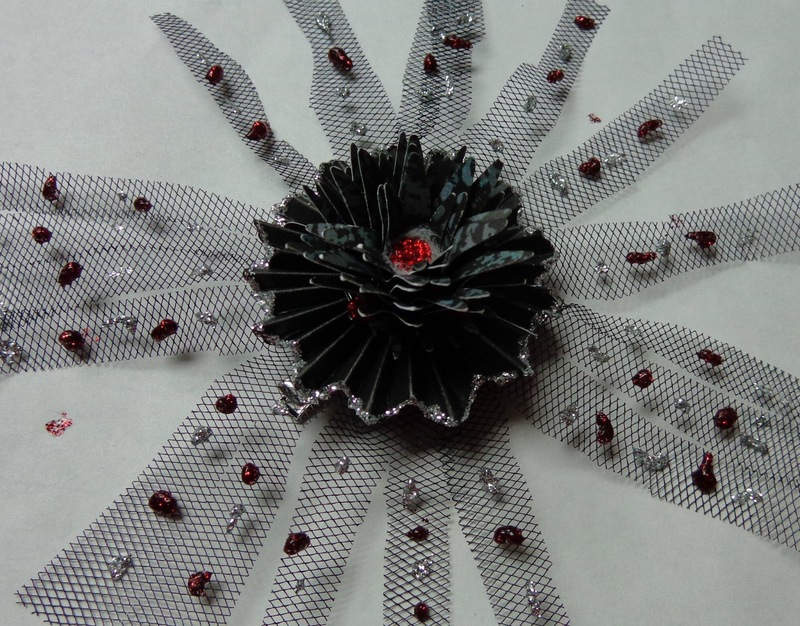 This one transformed into a Christmas card holder! I discovered washi tape this week and am IN LOVE!!! As much as I like the black frame, it REALLY needed something to make it more Christmassy. Here it is! 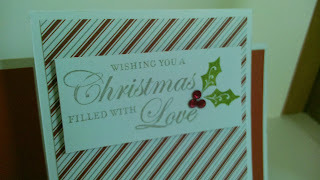 I cut the Merry Christmas with the Artbooking Cricut cartridge and the holly leaves with the Art Philosophy cartridge. 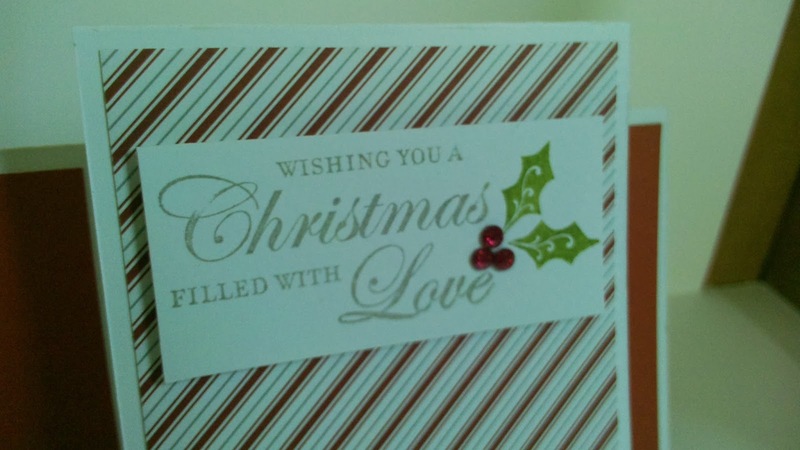 Merry Christmas is cut in both Cranberry and the darkest green Glitter Paper, and then they are offset so the green creates a shadow. The holly leaves are cut with the darkest green Glitter Paper and also with Topiary cardstock, then layered for contrast. I used the darkest red gems I could find in my stash for the berries. The frame is covered in the gold polka dot washi tape from the Cloud Nine card kit, as well as the silver from the Sparkle and Shine Washi Tape. They work really well and because they are so pliable, it was easy to shape it to the contours of the frame. 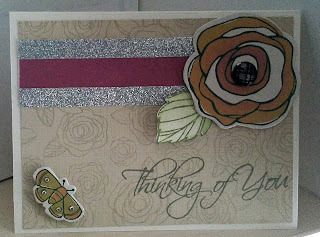 Here you can see the shadow effect with the green glitter paper and the Cranberry cardstock. I love the effect and contrast it gives. So that's it for this month! I hope you have a very merry Christmas and a safe and happy new year! Next on our Cross Canada Hop is Kathy so hop on over and see what goodies she has created! If you would like more information about any of the beautiful creations in this month's hop, contact your local Close to my Heart consultant! Clubs and Workshops Starting Soon!! I am starting up a couple of clubs in January so I can share some really cool techniques with you! 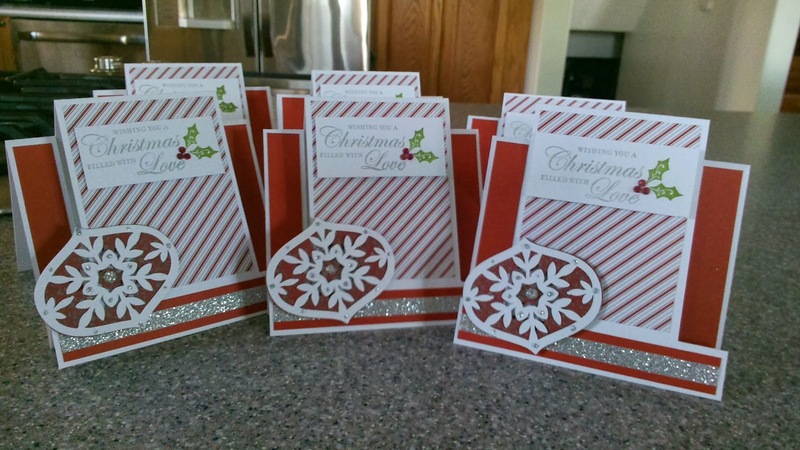 I will show you how to create different types of cards and how to get the best use from your paper. 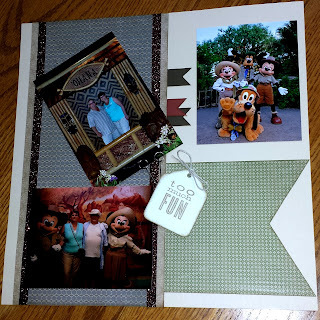 In the layout club, we will make some beautiful layouts to showcase your photos from all of your family get-togethers and holidays. When we have 5 people in the club or if the monthly sales total $150, one person will be named as the Hostess and receive the Hostess Rewards that month! That means each person will get to be Hostess twice a year for a total of at least $50 in Hostess Rewards! I will also have essentials kits available for purchase so you will have your own supplies each month. PLUS I will provide a space for you to keep them at my house so you don't have to lug them back and forth! The Deluxe kit will consist of a Sure-Cut Deluxe Craft Paper Trimmer (Z1783), Micro Tip Scissors (Z534), Tweezers (Z1382), Memory Book Glue Dots (1772 and Z341) and Foam Tape (Z1151) and will cost $72 (no GST or Shipping charged). Or you can select the Basic kit that will contain everything above except the Paper Trimmer, for a cost of $37. In June, we will meet on Saturday, June 21 from 1 - 4 as I will be in Anaheim for the Close to my Heart convention the last week of June. BONUS: If you would like to have a sneak peek at the new Idea Books, watch for my Open House notice in the monthly newsletter! If you are not receiving the newsletter and would like to, please email me so I can add you to my list. Sparkle & Shine for Christmas! Welcome to the Cross Canada Blog Hop for November. This month, we are showcasing our beautiful Sparkle & Shine collection. The beautiful colours will be sure to get you in the Christmas spirit! If you arrived here from Ashley's blog, then you are on the right track. But not to worry! If you get lost along the way, just return to Michelle in Nova Scotia for the full list. While you are hopping, please leave comments. 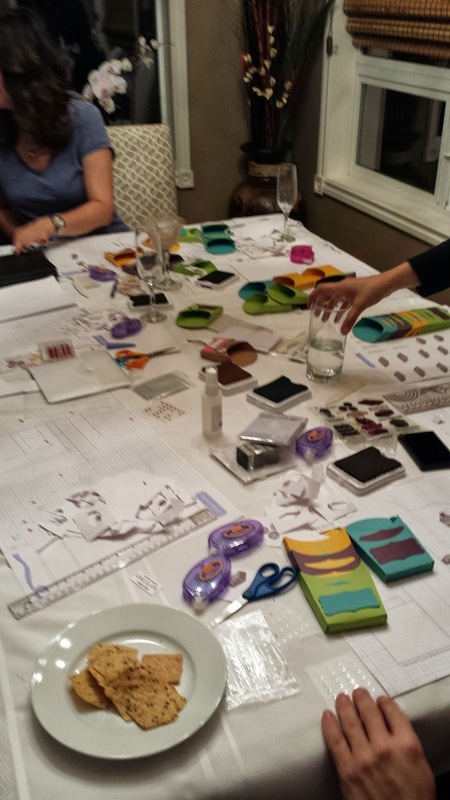 We love to see what you have to say about our creations! For my contribution this month, I have decided to make a set of center step cards. I love how they are so dimensional! 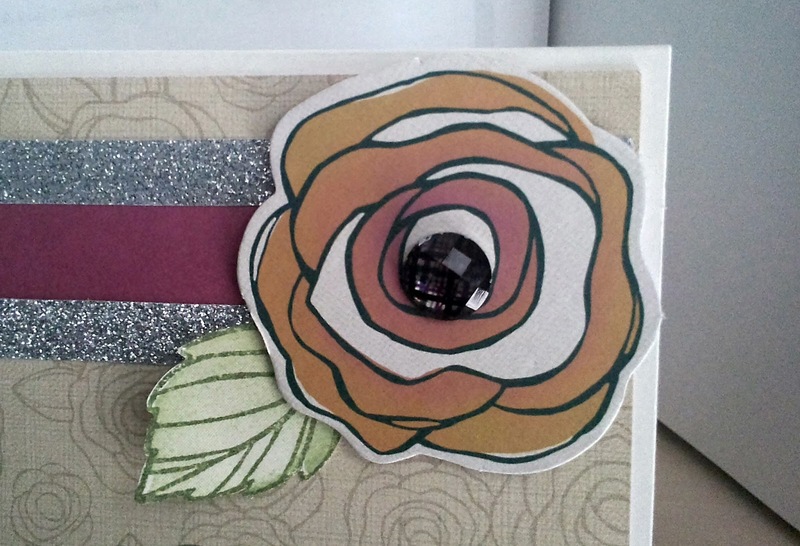 My cards use White Daisy cardstock as the base, with Ruby on the sides and bottom. I like the strip of Silver Glitter Tape along the bottom too! 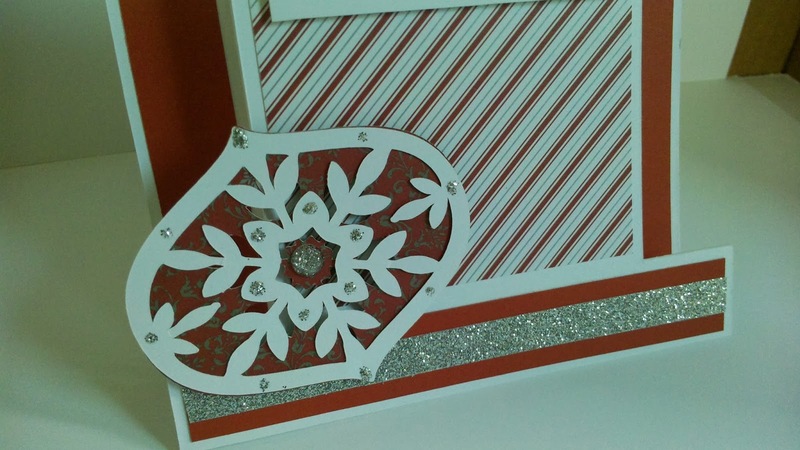 The Candy Stripe paper is from the Sparkle and Shine pack, and the large ornament and overlay are cut with the Art Philosophy Cricut Cartridge using Sparkle & Shine (the red brocade looking paper) and White Daisy cardstock, then popped up with Foam Tape. 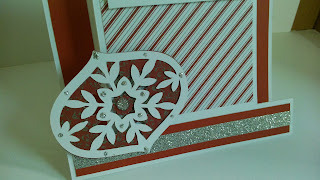 The overlay on the ornament needed some bling so I added dots of Silver Glitz Glitter Gel. The sentiment is stamped with Slate and Topiary Pigment Inks on White Daisy and I added three little red sparkle gems as the holly berries. Also popped up with Foam Tape. This is one of my favourite cards! I love the colours and the bling and everything about it. I hope you enjoyed this little taste of Christmas as much as I enjoyed bringing it to you! Now hop on over to Famida's blog for some more Sparkle & Shine inspiration. Remember, if you get lost along the way, just hop on over to Michelle's blog for the complete list of hoppers! Please visit my website at janmccormick.ctmh.com for more information about the products used in this month's hop. The Sparkle & Shine paper looks so much better in person than it does in the book! Many years ago, Jeanette Lynton started this amazing company called D.O.T.S. (Dozens of Terrific Stamps). She deigned her own stamps, and even sat at her kitchen table hand carving the images into pieces of rubber to be mounted onto wooden blocks. Over the years, D.O.T.S. became Close to my Heart, the rubber stamps evolved to become clear acrylic stamps in the My Acrylix line, and those original images were put away. In June 2013, we found out that 5 of these oh so cute images have been brought out of Jeanette's "vault" and are available for anyone to order as My Acrylix stamp sets! They are found on pages 114 and 115 of the Autumn/Winter 2013 Idea Book and are only available until January 2014. This month, our blog hop centers around these stamp sets. If you came here from Ashley's blog, then you are on the right track, but if you get lost along the way, hop on back to Michelle in Nova Scotia for the list of hoppers. 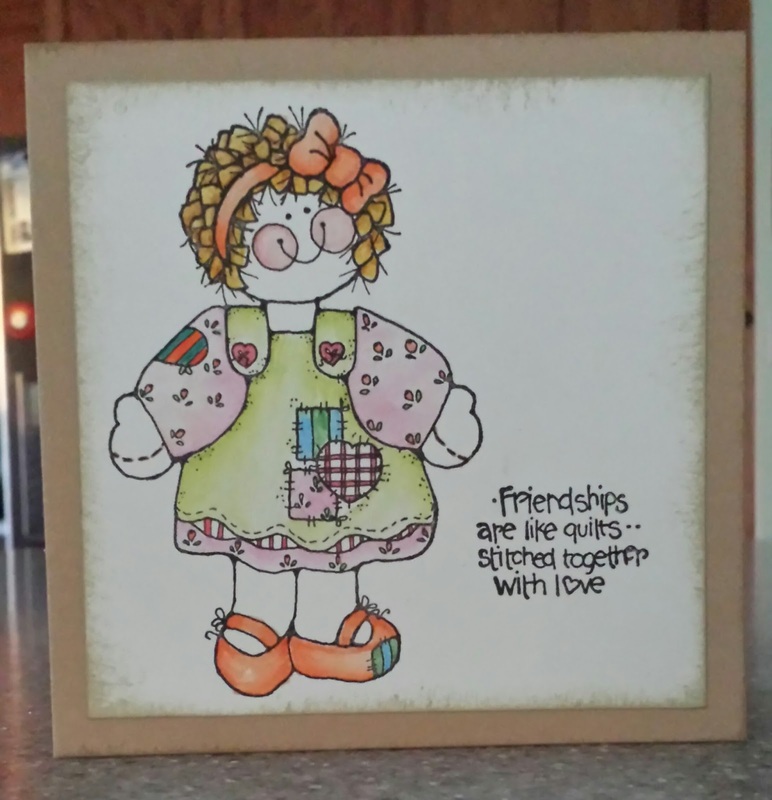 For my part in this hop, I decided to go with the adorable little rag doll stamp set, Stitched with Love (B1425). First, I stamped the image and the sentiment with Black Exclusive Inks Mini Pigment Ink on a 3 1/2" square piece of White Daisy cardstock. When it was dry, I coloured it with various colours of the Close to my Heart Exclusive Inks Alcohol Markers and ink distressed the edges with Desert Sand Exclusive Ink, and then adhered the cardstock square to the 4" square Kraft card base. This card was kept quite simple so I didn't overshadow the simplicity and innocence of the image itself. 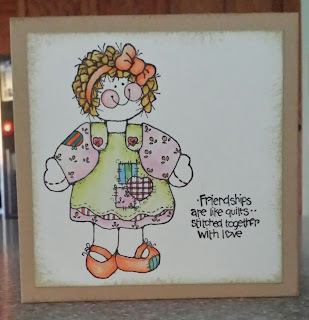 Now head on over to Nancy's blog for some more wonderful artwork using Jeanette's beautiful stamps! Remember, if you get lost along the way, head on over to Michelle in Nova Scotia for the complete list of hoppers. Use Your Stash - Plain and Simple Does It! When I saw this month's theme of Plain and Simple Cards, I was thinking this is what I usually do anyway. But then I did some research and found that my plain and simple cards are really not that plain and simple. This turned out to be a bit of a challenge for me! This one is about as plain and simple as I can get! I am the second hopper this month so if you got here from Rachel's blog, you are on the right track. If you get lost, just head back to her blog for the list of hoppers. For this hop, I dug through my stash of stamps and decided to create some Christmas Cards. Yes, it is still 4 months away, but no time like the present to get started! Then I realized it is my niece's 17th birthday, so made a birthday card instead. I used a piece of the Dream Pop paper and cut it to 4" X 5.25" and adhered it to a Dessert Sand 5.5" X 4.25" base. This colour reminds me of Orange Sherbet and Creamsicles! YUM!! The cupcake and icing were cut using the CTMH Artiste Cricut cartridge. I stamped the bottom of the cupcake with Hollyhock ink and the icing with Chocolate, then swirled some liquid glass over the icing and sprinkled it with Prisma Glitter. I added the Glitter Tape as an afterthought because it needed something else. 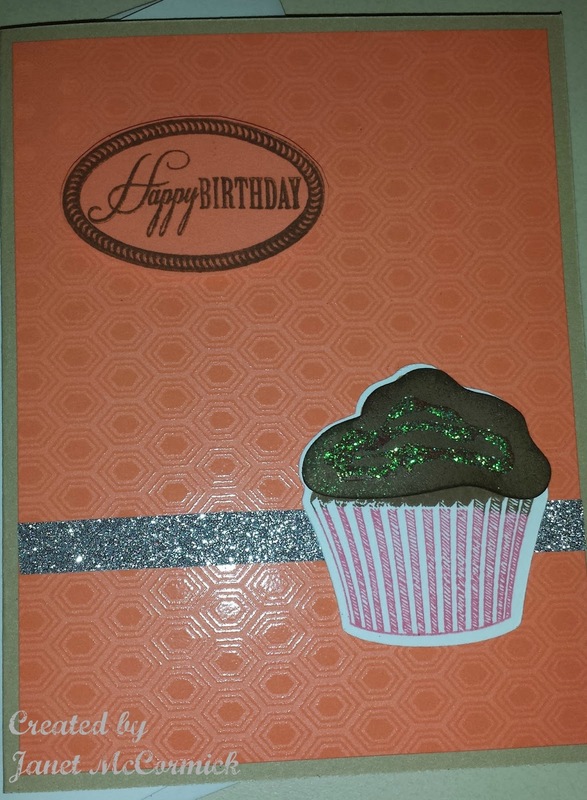 The Happy Birthday was stamped in Chocolate Pigment Ink on the flip side of the Dream Pop used for the card front and then cut out by hand. It was then I realized it could have been cut with the Cricut Artiste cartridge and then stamped. <sigh> The icing and the Happy Birthday are popped up with 3-D Foam Tape. If you want more information about any of the wonderful Cricut cartridges that Close to my Heart carries, or anything else Close to my Heart, send me an email or leave a comment here. Now head on over to Wendy's blog for some more plain and simple inspiration! Close to my Heart Kraft Album meets the Cricut Artbooking cartridge! This month's theme is Kraft - that is, any of our super Kraft items! The 3-ring binder, Kraft tube, ring box - whichever! I have chosen the 3-Ring binder since it is going to be our vacation album for our trip to Florida! The pages aren't done yet, but for now that is fine. The pictures are still waiting for me to send them for printing! If you came here from Ashley's blog, you are on the right track! But if you get lost along the way, go back to Michelle Stewart in Nova Scotia for the complete list of hoppers! 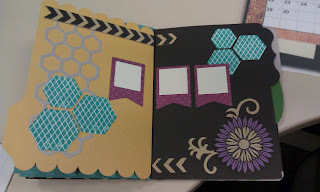 For my little album, I used a variety of papers as well as the new Artbooking Cricut cartridge. I LOVE that cartridge!! 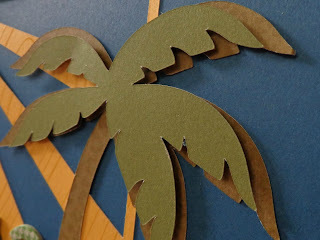 The palm tree was cut from a sheet of the B&T from the old Roxie paper pack (the one with the zebra stripes on one side) and the green leaves are Olive. The sun is an overlay from Artbooking cut at the size specified in the handbook from the yellow in the Dream Pop paper pack. The sand at the bottom is actually half of a leaf that I found on Artbooking, stretched and skewed a touch, then cut in half. I also cut the ends off so it fit just right! I made it a bit too big on purpose so I could do that. "Our" and "Vacation" are cut from Colonial White cardstock with letters from Artbooking (what else!?) and welded together using the Cricut Craft Room and then sponged with Topiary Exclusive Ink. (Have I said how much I LOVE the Artbooking cartridge?) The "2013" and "Florida" are the Houndstooth Irresistibles that I also sponged with Topiary Ink. I popped up the green leaves on the palm tree with some 3-D Foam Tape to give just a bit more dimension. I hope you like my little album so far. I will post pictures of the pages as I get them done. First, I MUST get my pictures printed!! But with over 1400 to choose from, it is proving to be a difficult task. Oh well. It will get done. I look forward to your comments! Now hop on over to Kathy's blog for some more artistic talent!! Use Your Stash Hop - Flowers!! Roses, carnations, peonies, sweet peas! Who doesn't love flowers? They look pretty, smell wonderful, and attract butterflies and hummingbirds. The July Use Your Stash blog hop is all about flowers! If you got here from Wendy's blog, you are on the right track. If you get lost along the way, just return to Wendy's blog for complete the list. In deciding what to do this month, I went searching through my hoard of paper (and I DO mean HOARD!) and came across the Flirty Workshop on the Go. I love the flowers in this kit and the colours are gorgeous! Continue on the hop with Rachel's blog and her beautiful artwork! Cross Canada Blog Hop - Retiring? Who? Me? Not me, but Close to my Heart does have some embellishments and stamp sets that will be retiring. The July Cross Canada Blog Hop will showcase these retiring products and give you some ideas on how to use them in your own projects! The blog hop starts in Nova Scotia with Michelle and goes right the way across Canada, with representation from most of the provinces! We have some very talented people! If you arrived at my blog from Terry Ann's blog, then you are on the right track, but if you get lost along the way, just go to Michelle's blog where you will find a list of all of this month's bloggers! For my project, I chose to do a layout, since it has been awhile since I last did one and I want to challenge myself. And since I have over 1000 pictures from Disney World (where the Close to my Heart convention was held this year), what better to scrap than all the fun times at the parks! SO much fun!! This place is immense!! We thought we could walk from one park to another, but there is no way! Disney Transportation is the only way to get around unless you have your own car. Here is my layout. I only did one page for this one as I needed a filler, but I am happy with how it turned out. In going through my stash to find retiring product to use, I discovered all I have is the Foundry Pin Clips (Z1612)! LOTS of paper but not much in the way of embellishments. I used the new Huntington My Reflections paper (X7174B), the Bronze Shimmer Trim (Z1849), and Natural Hemp (Z280) to tie the tag from the Dimensional Elements Tags (Z1684). Anyone who was at convention will recognize the layout! I used only one ink for this - Desert Sand! 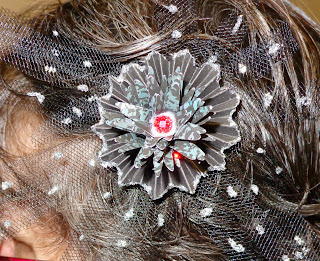 Check out the While Supplies Last section on my website at http://janmccormick.ctmh.com to find some great bargains! Next on the hop is Famida at Get Scrappin', but if you get lost, just return to Michelle in Nova Scotia where you will find the entire list of hoppers! I love my Cricut!! And I love that Close to my Heart now has THREE Cricut cartridges!! The newest, Artbooking, will be available to order August 1, and like the other cartridges, it comes with three stamp sets and three sets of chipboard elements that complement some of the 700 images! Yes, I said 700 images!! And what a selection! 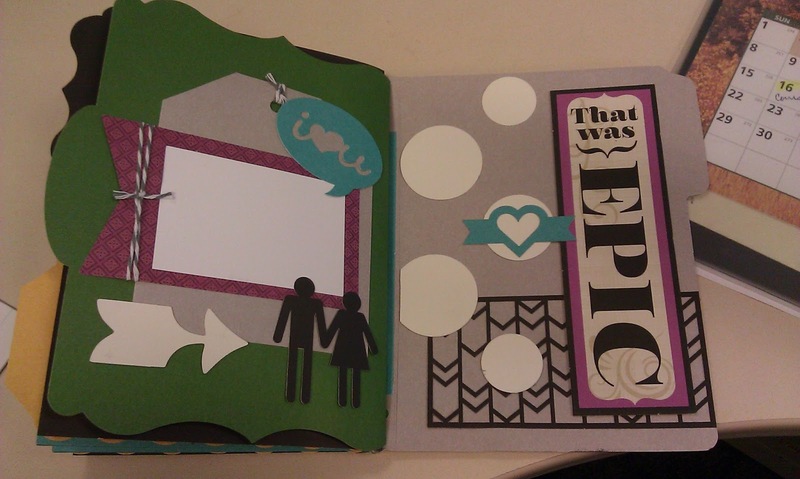 Michelle Bowley posted an awesome video showing the pages in the accompanying book to give an idea of what you can cut! One of the things we made at convention this year in Disney World was a cute little mini-album. All of the pieces (except the chipboard) were cut with the new Artbooking cartridge! Even the pages of the album themselves! 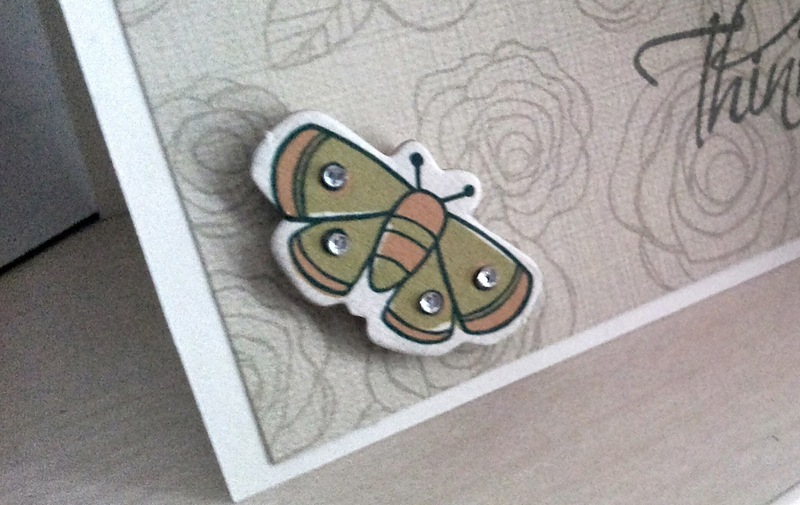 We can now cut overlays - background designs to complement layouts, cards or decor items. We used a few in the album and they are fantastic! This album was so much fun to make! It has pockets for adding bits and pieces, spaces for photos and journalling, and just a whole pile of cuteness! Two pages use the new overlay elements from the Artbooking cartridge. The one above has a honeycomb overlay and the one below uses an arrow overlay. The overlays can be cut up to 11"X11" to cover a layout page, or as small as shown for use on cards or decor items! If you would like to create your own mini album or as a gift for someone else, please go to my webpage and send me a message to sign up for my class on September 14. Deadline to sign up is August 27 and cost is $20 payable by cash or credit card. I look forward to helping you create this cute little album! And Another Convention is in the Books! Back home, unpacked, laundry done, and now back at work. It was a fantastic convention, as usual, and I am really looking forward to next year already! On Saturday, we started with our final General Session and Jeanette's Q&A. This is always one of my favourite parts! Jeanette is an amazing woman with such love and compassion for everyone. She has a drive that is second to none and this is what has made Close to my Heart what it is today! She also has a fabulous sense of humour and some of her answers to the questions were so hilarious!! I was one of the fortunate ones whose questions she answered and recieved a special little stamp set! Picture to come. Of course the last thing to find out at the final general session is the location of next year's convention. Everyone probably already knows it is in DISNEYLAND!!!! June 26 - 28, 2014 will see us enjoying the sights and sounds of Disneyland, California! Although I loved Disney World, Disneyland is still my favourite! After all, it is the original! Saturday afternoon was the final Creative Session and then the Closing Crop, silent auction, and dance! I managed about half of the crop and then had to go back to my room to pack for our 2:45 AM wake up call. Sunday stared FAR too early!! Bell services came to get our bags at 3:30 and took us to the Magical Express stop for our 4:15 shuttle. When we got to the airport and I saw the lineup for security, I thought we would be there all day! It was a ZOO!! But it was really fast and we were waiting at the gate for our plane in no time! The flight was so nice! Not a bit of turbulence until we got over Lake Ontario. We landed in Toronto and then waited for a few hours until we boarded the next leg to Edmonton. By this time, I was so tired I could barely eat my lunch. I dozed a bit on the plane and managed to wake up enough to get to the car at Edmonton International. But when my husband wanted to get groceries on the way home, I told him if he stopped at a store, I would beat him! So a stop at McDonald's for some burgers and then at the kennel to pick up our pooches, and we were home. By 6:30 I couldn't keep my eyes open any longer and crawled into bed after mumbling good night to my DH. I think I was asleep before I hit the pillow! Slept until 6:00 AM!! Then we were in Wal-Mart for groceries at 7:30!! Now I am gearing up for next year and Disneyland. Starting up a Convention box for all the things I need to take, such as my lanyard and a few other things I wanted this time and had forgotten. My swap cards are already in the works and I am REALLY going to try for the album contest this time!! We have the theme of the convention already so maybe I will be able to come up with some layouts this time! See you next year at convention! From General Session to the banquet, this has been a busy and exciting day! Close to my Heart is such a super company to be a part of! In General Session this morning, we were introduced to our new consultants from Australia and New Zealand! Welcome all of you to our CTMH family! Monica, Kristine and Brian hosted the very funny and fun filled Good Morning CTMH America. Some flubbed lines didn't stop our intrepid Vice Presidents from entertaining us all in the grand CTMH style we have all come to know and love. We learned about the new videos that will be available starting in September and going through to next April that will guide us all through new techniques to help us and our customers make our scrapbooking and card making really come alive. We saw some of the beautiful artwork created by other consultants, some of which will be auctioned in the Operation Smile Silent Auction tomorrow evening. After lunch, we attended six sessions at Extravaganza where we learned all about the new paper packs and their accompanying embellishments, and some of the many, many ways to combine them. We learned how to make rolled flowers (I am SO going to be making some of these!) from our beautiful fabrics! 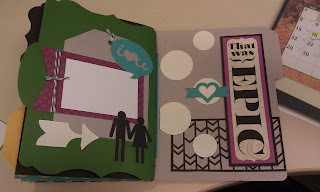 We learned how to use the Cricut Real Dial Size to get our cut images just the right size for the new stamps! We also learned that Close to my Heart has worked with Cricut to take the guesswork out of cutting our images by linking the images with the Real Dial Size, so when we dial in a size of 11", all of the images we choose to cut will be sized just right for the page! Now how cool is that!? The new papers are so beautiful, but my favourites are Frosted with its muted blues and greys, and Laughing Lola with its vibrant colours of Lagoon and Gypsy. I am really looking forward to tomorrow's Creative Sessions when we will be able to use these papers to make our new Spinner Cards!! I LOVE these new cards!! I can see a workshop (or two or three...) in the making! My wonderful upline, Sue Wilde, won the awards for Top Personal Sales and Top Team Sales for Canada for teams with up to 25 members! Yay Sue!! You rock!! You are an inspiration to your team members and we all want to make you proud! And a HUGE congratulations to Michelle Stewart from Halifax, Nova Scotia (my shopping buddy!) for her award as New Rising Star for 2013! What an honor for Michelle and her team! Well, it has been a tiring day and I am going to bed. Tomorrow is the last day of convention 2013 and our last day in sunny Florida. It has been a blast and I can hardly wait until next year! But we won't know where next convention is until tomorrow! Ariba from Convention at Walt Disney World, Florida! General Session started with a welcome song and dance from some of the Disney troupe, including the Three Caballeros - Donald Duck, Jose Carioca, and Panchito Pistoles! Such fun! Of course, Jeanette Lynton's own Three Caballeros - Kristine Widfeldt, Monica Wihongi, and Brian Holman, were also on hand to lead us through two hours of new products and lots of laughs! I can't let the cat out of the bag yet as to the new product, but I will tell you we have a new Cricut cartridge!!! WOOHOO!! 700 more images to play with!! And they are so cool! A tiger, a turkey, and tons of others! So excited! Can hardly wait to get my hands on one! New mini stamps that are a very affordable $2.95 each! So cute! There is also an assortment of stamps from Jeanette Lynton's vault! These are stamps that have not been available since the rubber stamp days of CTMH, so they are very special and only available in the new Autumn and Winter 2013 Idea Book. I have so many ideas for workshops! I want to tell you everything, but you will have to wait for the new Idea Book to see what is coming up! For all of the consultants who read my blog, you already know what is in store! This afternoon, we hada creative session where we worked on a gorgeous mini album! All of the pieces for the album were cut with the new Cricut cartridge! I got all but two pages finished but they will be done by the time I get home! I have so much to show everyone when I get home!! Saturday morning we will make some spinner cards and in the afternoon we have two layouts to work on. The paper we will use is so beautiful! I know some of you will love them! Well. that's it for today. For more information, stay tuned tomorrow when I will have pictures to go with the words! G'night all! June Cross Canada Hop - Let's Party!! This is a short hop this month, starting with Michelle in the lovely province of Nova Scotia, and ending with Chantal in gorgeous Alberta! So hop along and please let us know what you think of our artwork by leaving a comment! 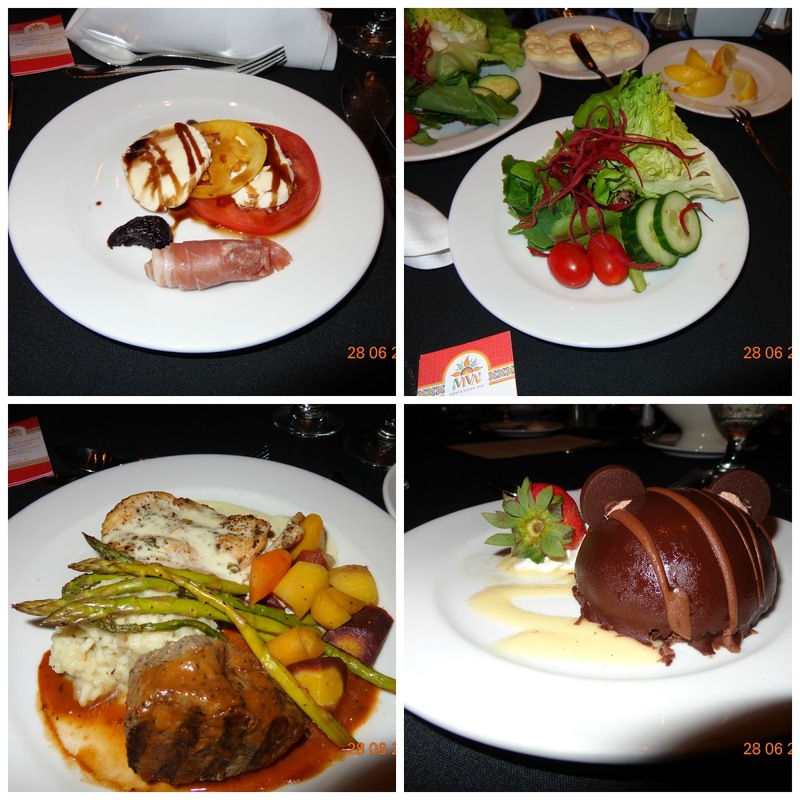 If you came here from Terry Ann's blog, you are on the right track! If you get lost along the way, Michelle has the complete list of hoppers so you can always return to her page to get back on track. I decided to make invitations and a banner for a Father's Day party, and thought I had TONS of the Later Sk8er paper. 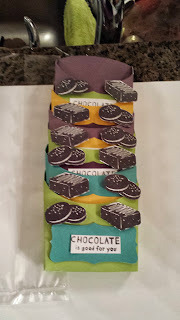 After three invitations, I decided to work on the banner and discovered I had enough paper to make eight invitations and maybe 1/4 of the banner. But here are three of the invitations and if I can get my hands on another couple sheets of Later Sk8er this afternoon, I will finish the banner this evening and add it. I used an older stamp for this (D1497) which doesn't have a name. But it has the cupcake, which is what I wanted! I stamped the cupcake cup in Pear Pigment Ink and the top in Whisper Pigment Ink. When the ink was dry, I "painted" over the swirls with my narrow Bonding Memories pen and sprinkled it with Prisma Glitter (I LOVE that stuff!!) "It's a Party!" is stamped in Outdoor Denim Pigment Ink, and I also sponged the edges of the Outdoor Denim cardstock with the pigment ink. I am so happy with how these little invitations turned out. I have a total of 8, but these were all I photographed. I hope you like our little hop this month! Please leave us comments as we all love to hear what you have to say! Next on the hop is Chantal in Calgary! If you came here from Tabbi's blog, then you are on the right track! If you would like to make this canvas for yourself, or would like to book a home gathering, please go to my website at janmccormick.ctmh.com. I would love to help you with your paper crafting needs! Now hop on over to Shirley's blog to see her beautiful artwork! Cross Canada Blog Hop - Canvas! 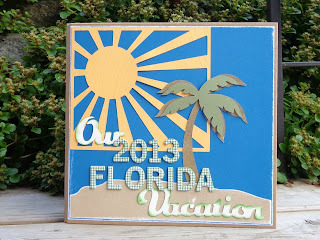 Welcome to our May Blog Hop featuring a canvas project. We hope that you will take the time to leave comments on our posts, as we love to get feedback from our viewers....whether it was something that you really liked or some new technique that was used that you would like to learn how to do....by leaving us comments, we get to hear what you like, and what you want to see. Thank you… now on to our hop! If you have just hopped onto my blog, you can start here as this is a circular hop, but if you want to follow us across Canada then please start at the beginning at Michelle's blog. If you came from Ashley's blog, then you are in the right place! Once the bird are stamped in Chocolate, I heat embossed it with Silver Pearl embossing powder (which I think is no longer available). Your next stop on the Cross Canada Hop is Nancy Klein's blog. If you get lost along the way, you can head to Michelle's Blog, as she has the complete blog list. Thanks for hopping along with us - we hope we were able to inspire you to create your own projects using some of the designs and paper seen along the way. 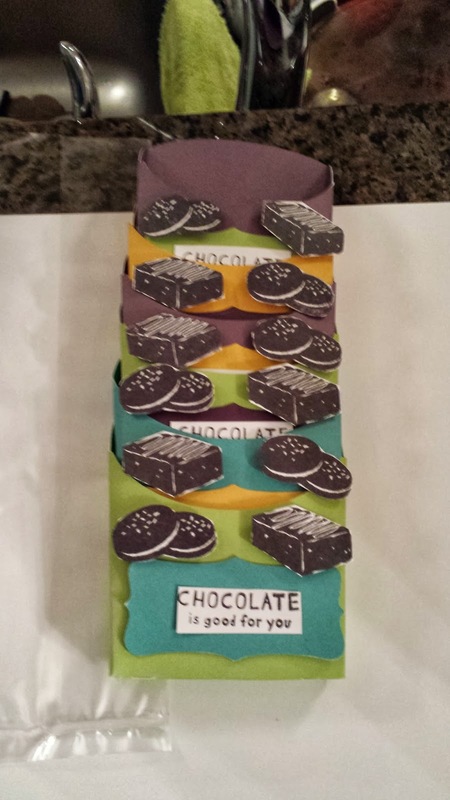 Join us again in June when we will be featuring some great party themed projects! 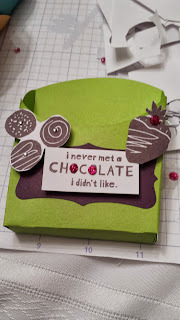 If you would like to purchase the items used this month, or to see the rest of what Close to my Heart offers to make your paper crafting projects gorgeous, please check out my website at http://janmccormick.ctmh.com. Hi everyone. I am starting a Hostess of the Month Club for online orders. To qualify for the drawing to be held on June 1, all you need to do is go to my Close to my Heart website, click on the "May Mystery Hostess" Join button, and place an order totalling at least $25 (before tax and shipping). Receive an entry into the draw for every $25 in product that you order! You must JOIN the "May Mystery Hostess" gathering to qualify for the drawing. View the Spring/Summer 2013 Idea Book online. Check out our While Supplies Last section. 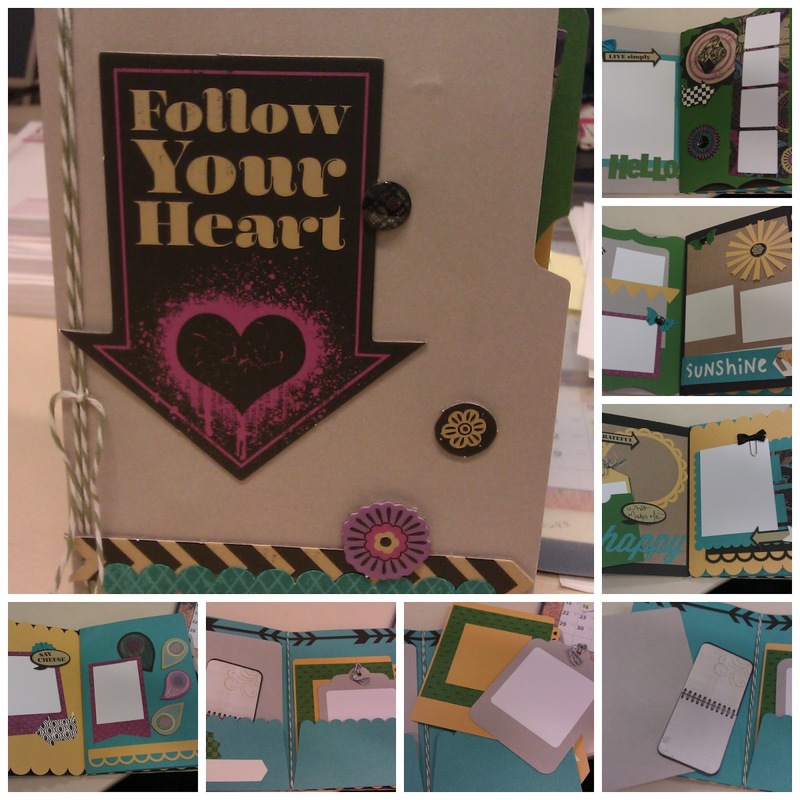 Order a Workshop on the Go Kit for scrapbooking, card making or home decor. Get your hands on the Cricut Art Philosophy or Artiste Collection. Are you a digital scrapbooker or interested in trying it? Try a Studio J 5-Pack. Need more help putting together an order? Contact me by email. Thank you for doing business with me! Have a wonderful day and make it from your heart with Close to my Heart! Hi everyone. Wow! Two posts in one day! Someone was asking how add a hyperlink in their blog posts and when I asked around to others, their were several who would like the information so here is it. Hyperlinks are a great way to link your blog to other pages of information. 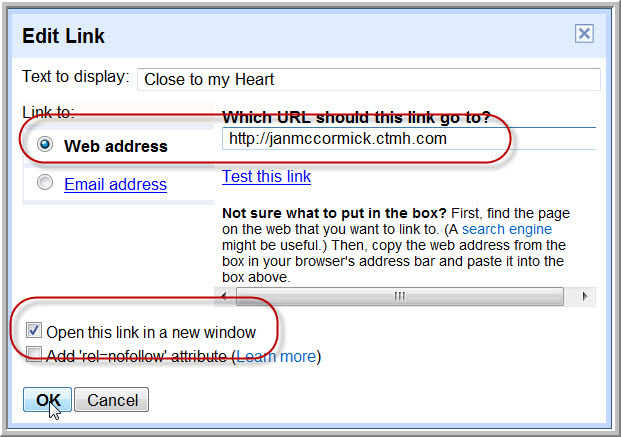 By clicking a link in your blog, your readers are able to navigate to other blogs, websites, etc. The first step is to type your blog as you want it to appear, then decide what you want linked to other sites. For example, I want people to be able to go to my Close to my Heart website to order product or the contact me about gatherings, so I will highlight the Close to my Heart above. Next, click the Link button in the toolbar at the top of the screen. ﻿The Edit Link window will be displayed. The text you highlighted will be shown in the Text to Display box. 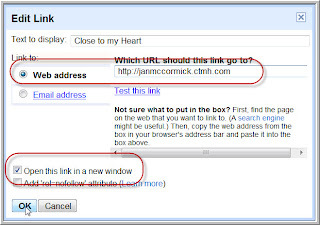 Type the address of the website to go to in the Web Address box, or on a separate tab, go to the website to link to and copy the address (highlight, click the right mouse button and select Copy), then paste it in the Web Address box. Click the check box beside "Open this link in a new window" if you want the website to open in its own window. Then click OK.
﻿The link will now be blue and underlined in your blog. Anyone who comes to your blog can now click the link and be taken to the site you specified.